Crystal clear waters, untouched forests, fresh air, and deafening silence. Great Canadian fishing with waters teeming with trophy Walleye, trophy Northern Pike, Whitefish, Perch and more. Experience an all inclusive trip, or a more remote stay at one of our outposts, including the comforts of our unique shore lunch offering, deliciously prepared lodge meals, and fully furnished individual log cabins, even on outposts. Your Ontario fishing trip awaits you - memories in the making. 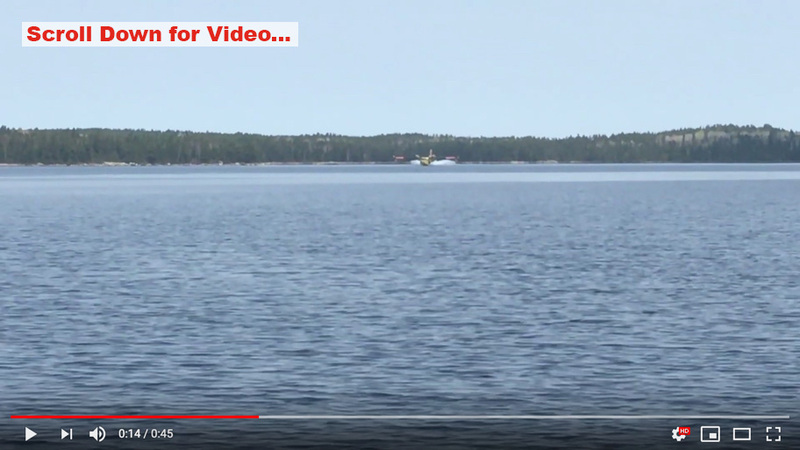 This is beautiful Wabatongushi Lake in northern Ontario, Canada, about 40 miles Northeast of Wawa, and home to some of the best Canadian fishing you can find. 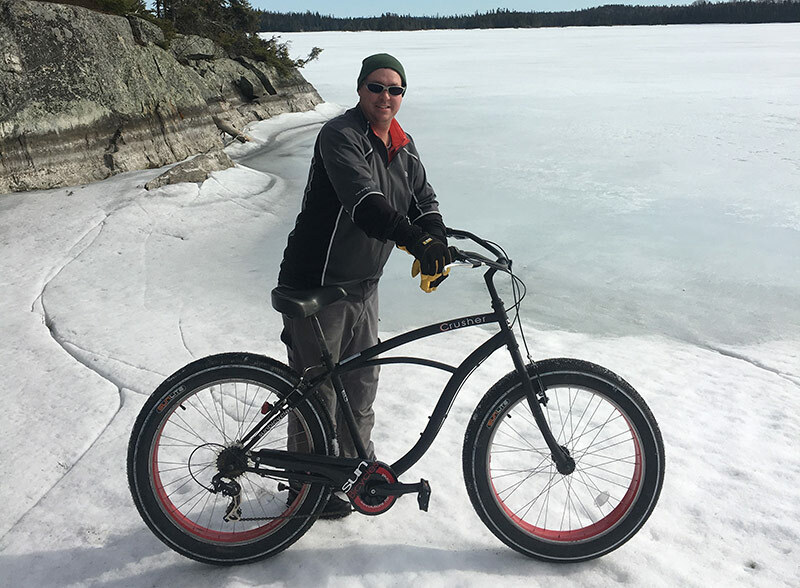 Stretching over 22 miles in the heart of the Chapleau Crown Game Preserve, the area is teeming with nature's most elusive animals. Black Bear, Moose, Lynx, Bald Eagles, Loons, and Timberwolves roam as they once did - naturally. Truly an outdoor paradise, our lake is filled with endless hiking and fishing opportunities, or just the perfect place to relax and enjoy the surrounding wilderness. Birding, mushroom hunting, berry picking, kayaking, canoeing, and star gazing are just a few of the other activities available here. Following a full day of spectacular fishing, or just exploring this vast wilderness, we will welcome you home to comfort and convenience. Relax in your own private cabin, or sit on one of our decks enjoying a pre-dinner cocktail. Catch the aroma wafting from the kitchen as our staff prepares a delicious, hearty meal. Fresh bread and desserts are all home-made daily. Your adventure starts with a choice of Fly-In, Train-In or Drive-in to a gravel road access point. It's never been easier to get into the Wilderness... Memories made for generations! - 18ft Cedar strip boats equipped with 15 h.p. four-stroke electric start motors, comfortable swivel seats, and unlimited gas. - Daily shore lunch is one of our unique offerings...spend more time on the lake catching trophy Walleye, trophy Northern Pike, Bass, Whitefish, Perch, and more! Your choice of Fly-In, Train-In or Drive-in to a gravel road access point. Catch Walleye, Northern Pike, Bass, Whitefish, Perch, and more! Loch Island Lodge and Camp Lochalsh, located on the shores of Lake Wabatongushi in Ontario Canada, offer some of the best Walleye and Pike fishing to be found. inhabit this large body of water. Wabatongushi Lake is the second-largest lake in the almost 2 million acres of the Chapleau Crown Game Preserve. The lake is highly diversified in its topography. The north end of Wabatongushi is shallow with many low, swampy areas. This is perfect habitat for Northern Pike and hungry moose. The south half of the lake is much deeper, with a maximum depth of 175′ located right off Loch Island. The shoreline on the south end is much higher, with exposed Pre-Cambrian shield plummeting straight into the tea-stained water. When you visit us, rest assured that our individual log cabin accommodations will meet or exceed your expectations. Every cabin, even at our outposts, has a three or four piece bath with hot and cold running water. We wouldn’t have it any other way! Our cabins are designed to accommodate from one to eight people. At Loch Island, Camp Lochalsh and Isle of Jordan, 24 hour a day electricity provides lighting and all the comforts of home, while Otter Island and Sandy Bay run entirely on propane. On those chilly northern nights, each cabin is equipped with either a wood burning stove, thermostatically controlled propane or electric heat. Refrigerators are found in every cabin for your convenience. Read on below for videos, our recent blog posts and more…. Check back with us all year as we will be posting about how the fish are biting, improvements to our accommodations and photos of guests enjoying their world class wilderness vacation. To get notified by email of new blog posts, signup with your email at the bottom of the page.